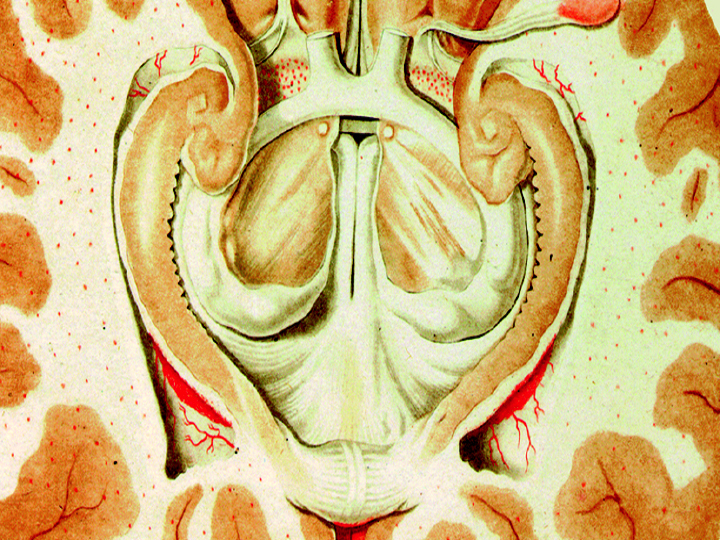 The illustration shows the right and left hippocampus in the human brain. This part of the temporal lobe is involved in forming a cognitive map of experience, and lesions produce short-term memory loss. "Hippocampus" is seahorse in Latin. From a book by Félix Vicq d'Azyr (1786). Larry’s two atlases, “Brain Maps: Structure of the Rat Brain”, and “Developmental Brain Maps”, are now open access. See details on the BrainMaps page on the menu at the top. Check out our latest addition to the rat neurome project—the commissural and association connections of the cerebral cortex. Select the “Rat Neurome Project” page under the “Connectome” link on the menu at the top.